The new Hamilton Intra-Matic 68 Watch is a limited edition inspired by the historical Chronograph B of 1968 and known by connoisseurs for its black and white reversed “panda” dial. 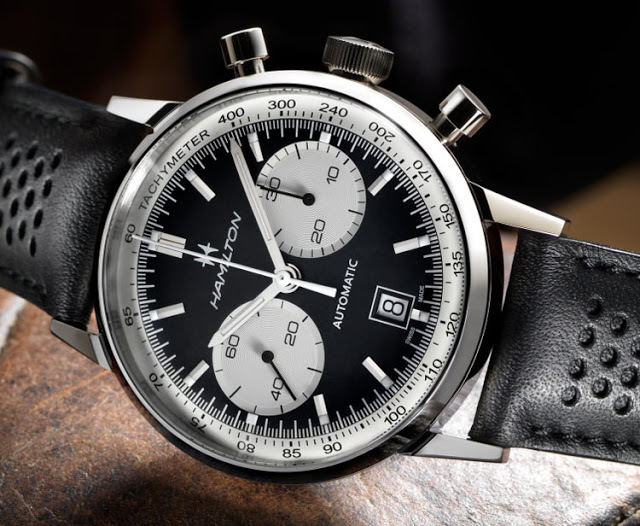 In 1968 Swiss Hamilton presented the Chronograph A with black subdials on a white dial and the Chronograph B with two white subdials lying against a black background, creating a “reverse panda” face, a type of dial design very popular in the 60s and 70s but still appreciated today. Circled by a white tachymeter scale, the black dial features hour and minute hands treated with Super-LumiNova for higher legibility. The 42 mm round case is crafted from polished stainless steel and features with vintage-feel pushers placed on each side of the screwed-crown allowing to guarantee water resistance to 100 metres / 330 feet. 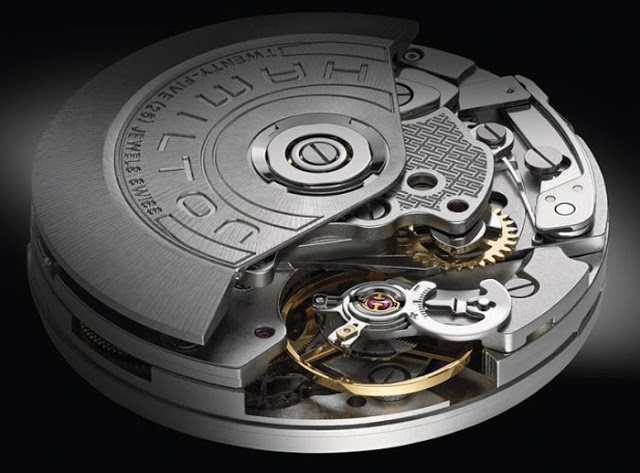 The Intra-Matic 68 is powered by the automatic H-31 movement (based on the ETA Valjoux 7753) beating at 28,800 vibrations per hour and offering a 60-hour power reserve. The retro character and vintage feel is further accentuated by a domed-shape dial and curved hands. The black calf leather strap is perforated for a 60’s-style sporty touch. The Hamilton Intra-Matic 68 (ref. H38716731) will be produced in 1,968 pieces with a retail price of Swiss Francs 2,150.